Sorry! This page is not yet available in your preferred language, so we're displaying the original version instead. 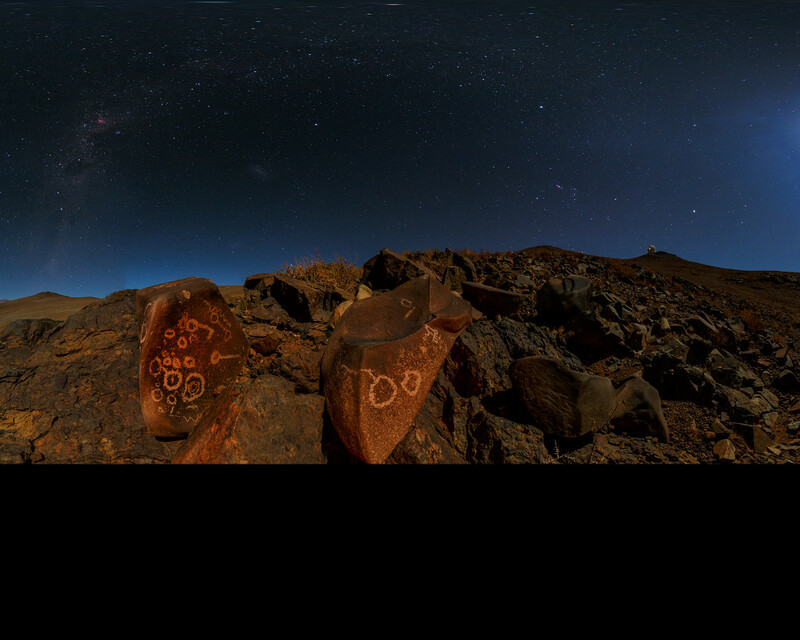 An extended to 360 x 180 degrees (with black), Ultra High Definition (UHD) panorama taken during the ESO Ultra HD Expedition. 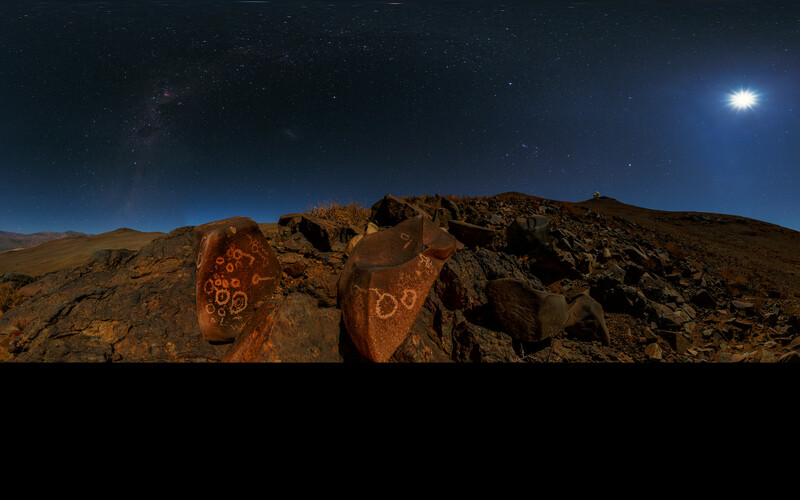 This panorama from the Chilean Atacama Desert shows the Moon shining brightly overhead. Taken from low on the ground, we get a sweeping view of our galaxy. 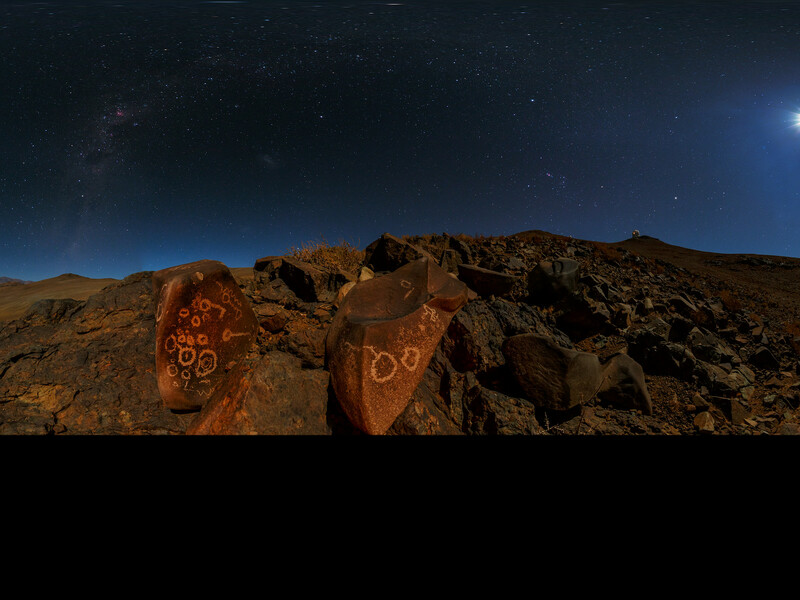 Visible on the boulder are several petroglyphs (read more here). 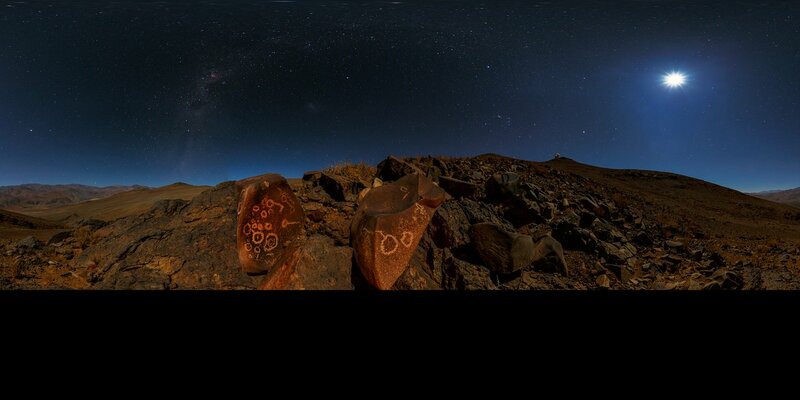 Enjoy also our exciting Virtual Tours.